Busy, busy, busy that me, been with my foster Dad out and about in this lovely weather, stopping at every available water bowl out side shops and cafes (thirsty works this walking a human) or getting to go into a human cafe ( I love dog friendly places). 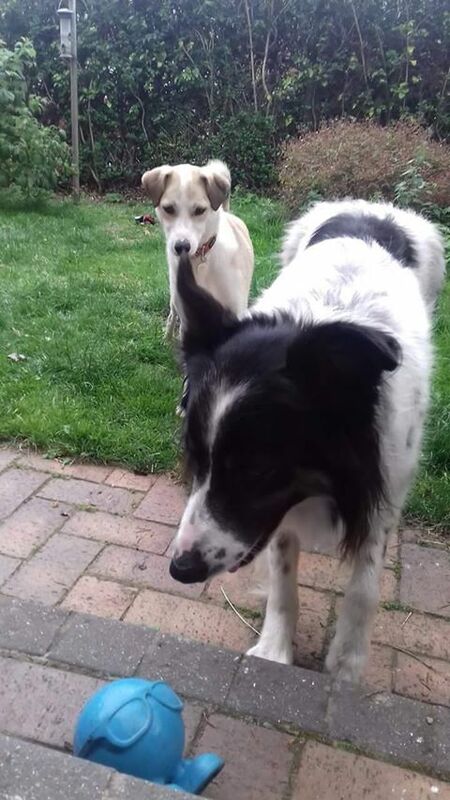 You’ll remember Spot the Border Collie who was fostered with us for a while, well we’ve kept in touch and he came over to ours for a canine sleep over (see photo). I’m proud to say I introduced Spot to Pero Pet Food and he is on the Working Dogs variety. I have been sharing a few of my Pero biscuits with him too. Doesn’t his coat look fabulous….all glossy like a human in a shampoo advert…that’s down to the Pero food, proper food no nastiness and ughhhhs like in other pet food. 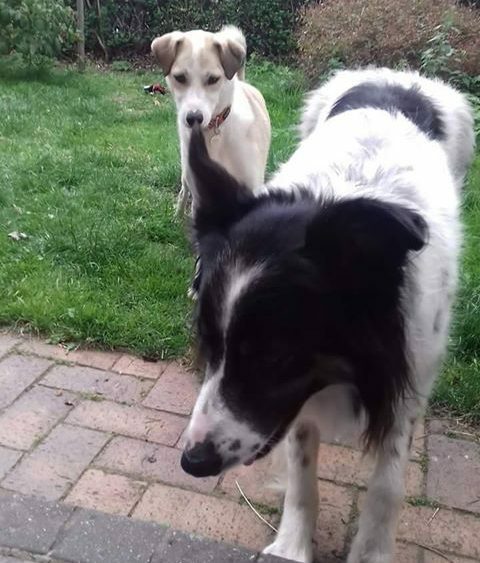 Sad news on the rescue front, two of the Long Term foster gang sadly passed, Amber the dog and Ernie the cat. Thank you to their human family for taking such good care and love in their latter years. Well it has also been very frustrating (bark-bark-bark) on the adopt-a-cat front too…plenty of interest in Cole and Ben but the humans interested changed their minds last minute or didn’t show up to meet them. I understand that both cats had been washing around their ears for ages ready for the meeting in the hope of being re-homed. I felt so sad on hearing this. Anyway paws crossed they get their furever home very soon. Before I dash off to check our garden hedgehogs, have you seen the new Pero website….have a look it’s PAWSOME!